Sometimes, it’s hard to plan out what to eat. It can be even harder when you are trying to live a sustainable life. There are, however, thousands of great recipes that are easy to make with ingredients grown on a homestead or in a small garden. Spinach Asparagus Leek Soup is one of those great recipes. This soup recipe comes courtesy of what I believe to be the BEST restaurant in all of North Carolina. 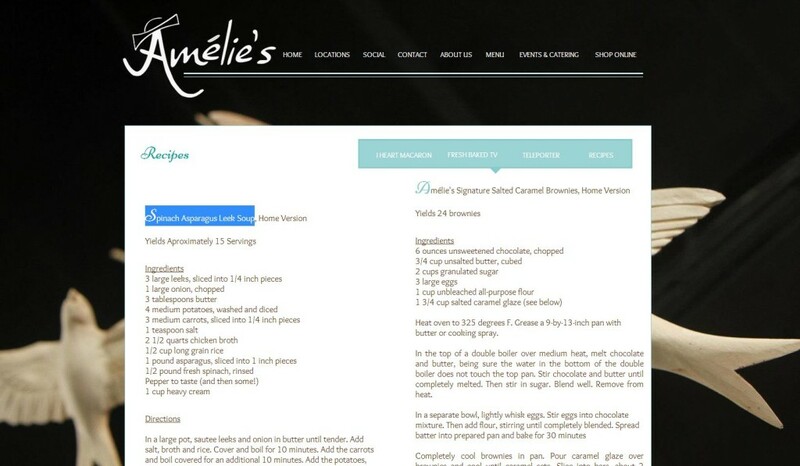 Amelie’s is a 24/7 French-inspired restaurant in the heart of Charlotte, North Carolina. The atmosphere is amazing, the food even better, and the hours unbeatable. Spend a night eating until dawn at one of the finest establishments in North Carolina.